Updated 5 bedroom Duplex with Great Views! Fantastic view due to duplex orientation at end of street. New Granite Counter tops and plush furnishings. Featuring 1 bedroom with full bath on main living floor. Open floor plan on main floor with large living area. Master Suite is on 2nd floor and has a private balcony & garden tub and separate shower. Lots of parking under this raised beach house. The community pool is roughly 250' away. Covered porch off living area has great beach views. Low insurance for a beach and federal flood insurance is available! Concrete board exterior siding is perfect for this salty environment! 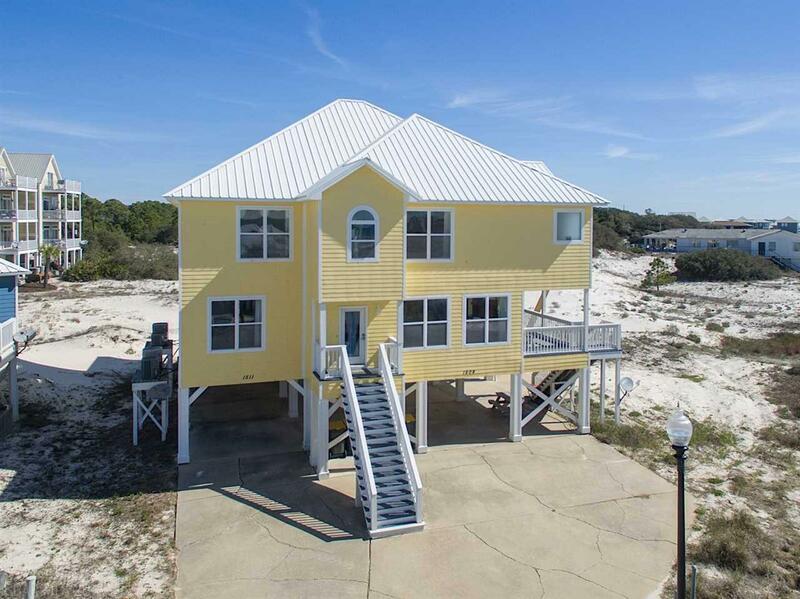 Listing provided courtesy of Sunset Properties Gulf Shores. Listing information © 2019 Baldwin County Association of REALTORS® MLS.